The institution of installment payment plans and deep discounts in India has netted Apple up to a fourfold boost in iPhone sales over the past four months, said investment firm Credit Suisse, with the company moving nearly 400,000 handsets each month. According to analyst Sunil Tirumalai, Apple's equal monthly installment (EMI) and cash-back programs have jump-started sales in India, which used to be around 70,000 to 80,000 units per month before the aggressive pricing schemes, reports India's Economic Times. As a burgeoning market, India's smartphone sector has traditionally been dominated by low-cost feature phones, while high-end products like Apple's iPhone were out of reach for a majority of consumers. 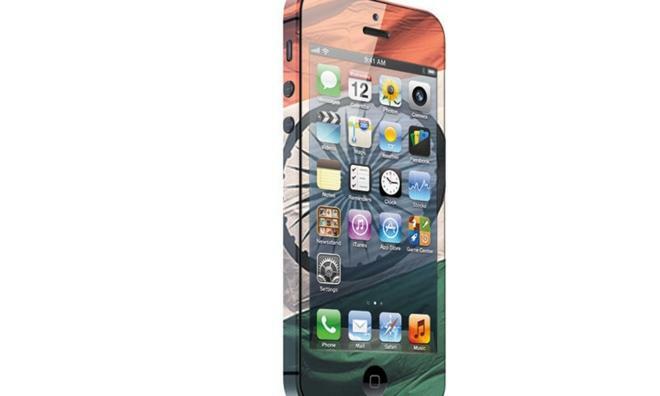 The latest estimates suggest the iPhone now accounts for nearly three percent of the entire Indian market. Apple's "aggressive approach" to iPhone sales in the world's second most-populous nation includes extensive advertising, but more importantly an interest-free EMI initiative that allows buyers to put down a partial payment on an iPhone 4 or 4S and pay the remainder over the next 6 to 12 months. "The 4-9% implicit discount coupled with the option of easy EMIs spread over 6-12 months became popular," Tirumalai said. "Within a few months, our discussions with handset retailers indicated that iPhone sales went up 3-4x, forcing companies to respond." In April, Apple added an 18 percent cash discount to the iPhone 4 deal, effectively nullifying the partial down payment. According to the publication, this resulted in an effective discount of 23 to 27 percent, making the handset more attractive for first-time smartphone buyers. Credit Suisse's report, which based its numbers on mobile device retailers and distributors, is in line with preliminary IDC estimates from February, which noted an identical 400-percent increase in sales. As part of its push, Apple began offering trade-in rebates earlier in May, with students getting 7,777 rupees (about $134) off certain iPhone models.